The base of the bangles that has been moulded from small gold plated brass metal is artfully embellished in an exceedingly set pattern of 2 red stones followed by 3 white ones. 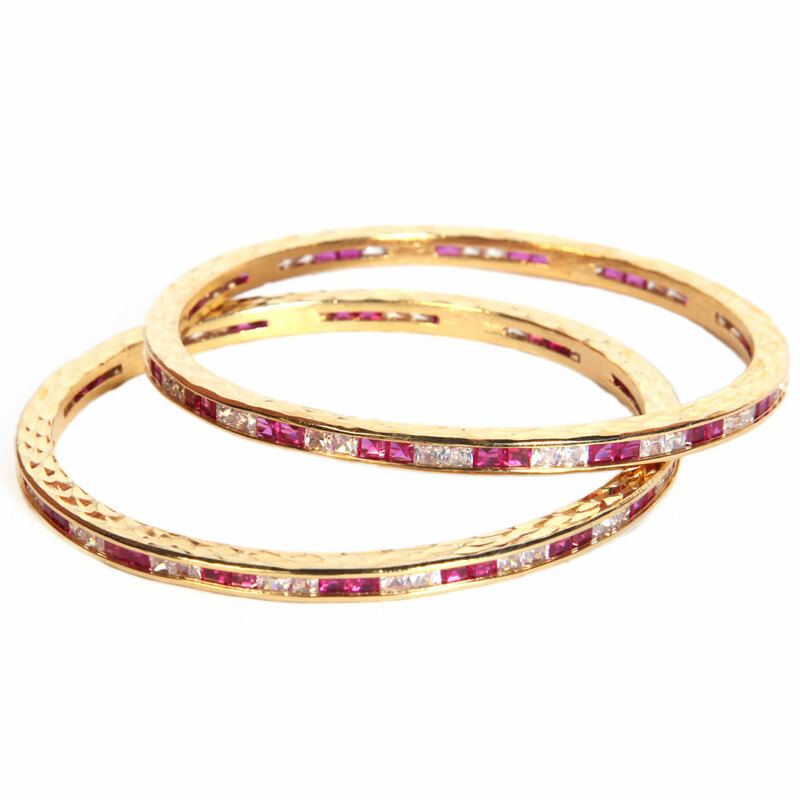 The most attractive aspect of this pair of designer bangles is the magnificent setting of the dazzling AD stones. The base of the bangles, which Read More..has been moulded from micro gold plated brass metal, is artfully decorated in a set pattern of two red stones followed by three white ones. Show Less..